StomaCloak’s tagline is the Security of Knowing. With StomaCloak you will know that you are comfortable, dry and free of odor. Having this security allows you to live an active lifestyle. A physician ostomate and a wound, ostomy and continence nurse developed this innovative ostomy cover, ensuring that all needs were considered when developing the product. 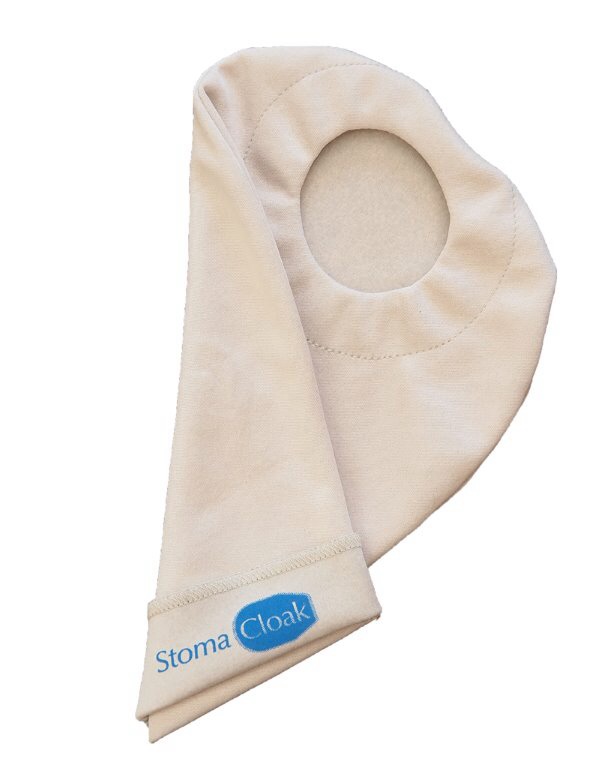 Part of what sets StomaCloak apart from other ostomy covers is that it stops odors. StomaCloak’s material includes treated activated carbon, zeolite and antimicrobials. This combination changes the odor molecules so that odor is actually removed and not just masked. 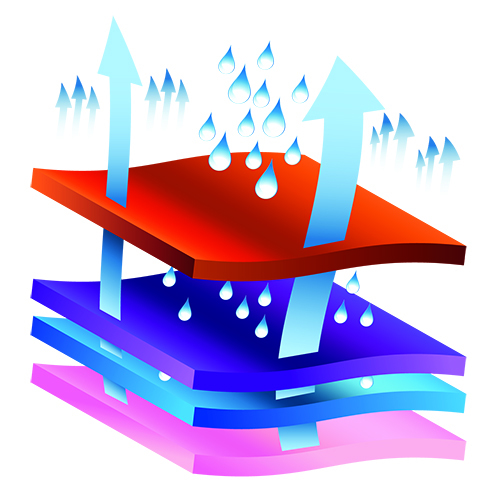 Activated carbon works through the process of physical adsorption, similar to a sponge only with air instead of water. In the fabric of clothing, the carbon creates a bond that traps odor molecules produced by the body. Activated carbon acts like microscopic Velcro. When the odor molecules come into contact with the activated carbon, they are trapped within the pores until the product is reactivated. 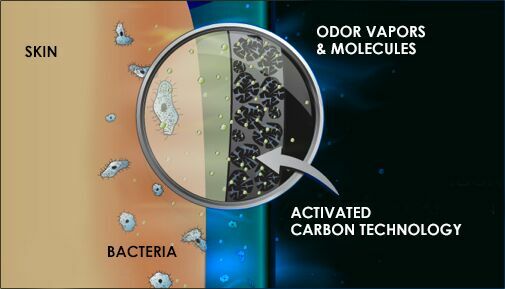 Reactivation is achieved by putting the activated carbon fabric in a dryer where the heat from the dryer will break the bond with the odor compounds. The odor compounds are released and the activated carbon is virtually as good as new. While activated carbon adsorbs the vast majority of odors generated by the human body, zeolite is another component that can adsorb some compounds better than activated carbon. These odor compounds are typically very small molecules and represent a small part of the human odor signature. Although when used as a primary absorbent, zeolite has limited benefits, when combined with activated carbon, the combination extends the range of technology like never before. StomaCloak has innovative technology that keeps you dry and free of bacteria. StomaCloak creators understand how important it is to keep an ostomate’s skin dry and bacteria free. This stoma cover was designed to make sure the skin stays free of moisture under the ostomy appliance. Keeping your skin dry will also help ensure that your ostomy bag will stay secure. Thanks to StomaCloak’s design with wicking properties, when you get out of the shower, the pool or just finish a workout, you will be dry as soon as you put your StomaCloak on, no blow-dryer required. StomaCloak provides comfort and security for an active lifestyle. StomaCloak’s creators understand that ostomates usually do not want to draw attention to their ostomy bags. Two ways StomaCloak helps with discretion is by helping with leaks and noise. StomaCloak helps your bag stay securely on by keeping you dry. However, if a leak does happen, the StomaCloak will keep leaks contained until you get the situation taken care of. The StomaCloak bag cover is also designed to mask the crunching sound of an ostomy bag, keeping you noise free. Another issue the StomaCloak solves is comfort. No one enjoys the uncomfortable feeling of a cold, wet bag against your skin. StomaCloak’s wicking properties are designed to keep you dry and comfortable while you go about your daily life.